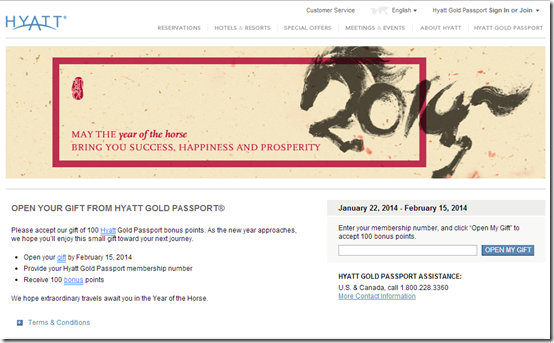 All it takes to get 100 free Hyatt Gold Passport Points is 10 seconds at the maximum. Though 100 points may not be a big deal, but is sweet enough when you consider that it takes 10 seconds of your time and is free. Also, Hyatt points expire after 24 months of inactivity, so it may well help your account remain active as well. 2. That’s it! 100 Hyatt points will be added to your account in maybe 24 hours or so. If you’re not a Hyatt Gold Passport member yet, you can use this link to create an account.